ADDTHIS Plugin - AddThis offers a set of URL endpoints that allow you to share content from your website to any of their supported destination services. 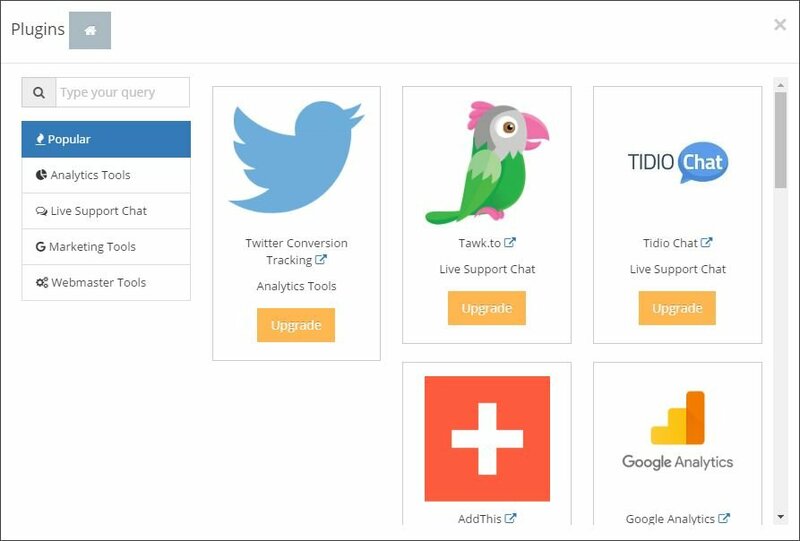 Tidio Chat Plugin - Live chat that reacts before a customer leaves. Tawk.to Chat Plugin - Tawk.to is a free messaging app that lets you monitor and chat with visitors on your website. 오늘 US에서 2234가 넘는 SITE123 웹사이트가 개설되었습니다!